It might seem that the subject of “dirt” is as boring as watching paint dry. That is — until one sits in a forest or a meadow and considers both the beauty of the moment and the basis for that beauty. Much of that forest or meadow resides underground in an invisible world that we can’t see without a microscope or some form of chemical analysis. Yet, that secret underground world is a vital connecting force that is essential for the maintenance and the survival of what we see above ground – including we humans. Dirt is of fundamental importance for global carbon and nutrient cycles that contributes to ecosystem functioning. 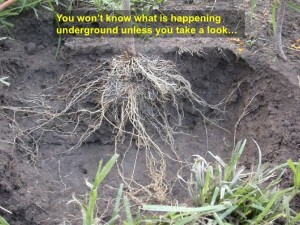 We can explain many of Nature’s patterns that we see above ground from what is happening in the soil. Indeed, we humans are connected to dirt. We need dirt to live! Highly complex interconnected subterranean ecosystems are vital to life on this planet. The plants of our forest or the meadow reach outward and upward for air and for light energy from the sun. These plants also reach downward into the dirt to engage a highly complex interconnected subterranean ecosystem that supplies physical support, nutrients, and water. 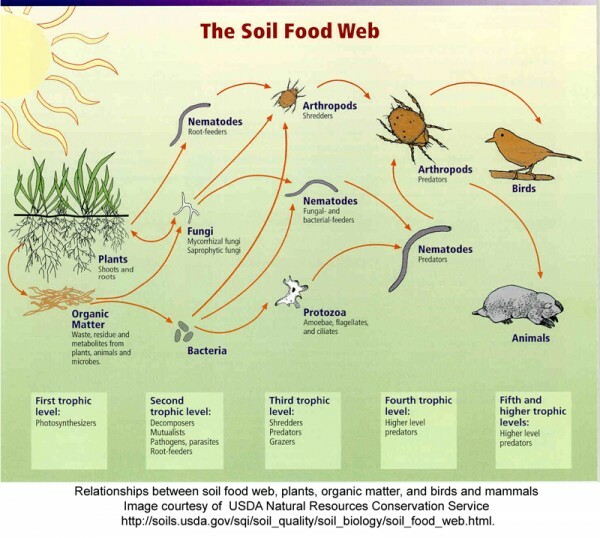 In turn, the network of organisms in soil receive carbohydrate energy from the above ground forests and meadows. 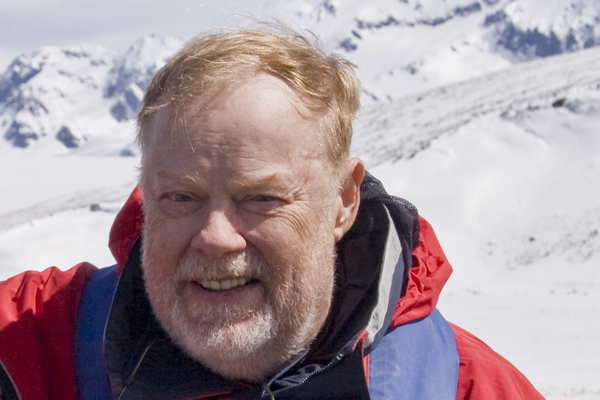 It is another important example of interconnectivity in Nature. 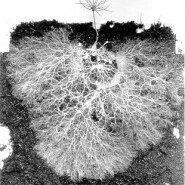 A wonderful 5 minute video by Suzanne Simard entitled “Do Trees Communicate?“ provides us with a description of the mycorrhizal fungi networks in dirt. Two other Suzanne Simard videos are The Science, Art and Meaning of Forest Wisdom and The Networked Beauty of Forests . The core idea portrayed in this blog site is that everything in Nature is interconnected. The engine of life is the linkage that transforms and transports energy. Conservation is the act of identifying, understanding, and preserving these links. The life giving connections afforded by subterranean ecosystems are no exception. 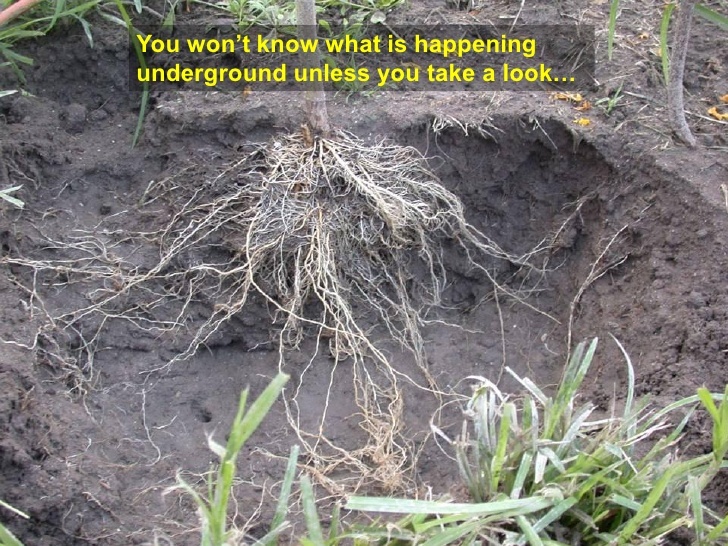 Without these underground connections, we humans would not exist because we need plants to live. The plant world, at all levels, above ground and below ground, is responsible for capturing and transforming the sun’s energy into a form that is useful to all life on earth. 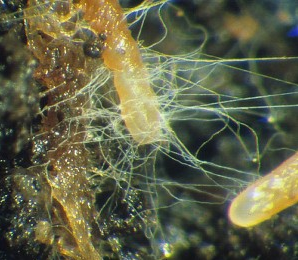 Plants could not exist without dirt and its interconnected creatures. Indeed, dirt is the living and breathing skin of our planet. It is a dynamic, highly diverse, interconnected super-organism. Dirt is alive !! This is a 1 hour 20 minute video that is worth watching !!! 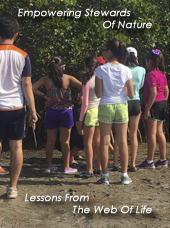 It provides you with a comprehensive understanding of dirt from a biological and a social perspective. Very interesting !!! Another great read and reminder of what we tend to take forgranted. Hi Susan: Thanks for your encouragement and loyalty. My partner and I are presently camping in the prairies of the midwest where I am constantly reminded that a very large part of the grassland ecosystem lives below ground.